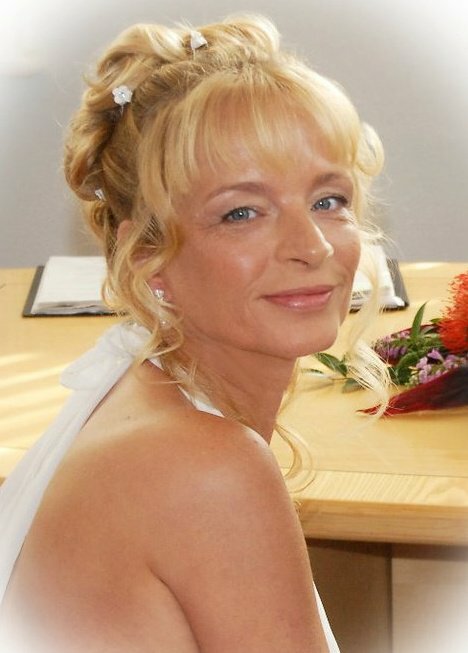 As part of MG Awareness month we are sharing personal stories written by individuals impacted by MG. Today’s post is written by a WWMG member from England, Jane Maddison. Jane, two years ago, before MG. I was ill for over a year. The hospital first did tests on my heart, which all came back ok. A few months later I started to get very bad headaches that would last for over a week at a time. They stopped me from sleeping, but no pain tablets took them away. Then my right eye started to water and about a week later started to close. I had antibiotic eye drops but they did not help. By this time my blood pressure was running very high. I was driving to work one morning and was just about to join the m62 motorway, when my vision went in both eyes and I had to stop the car and leave it where it was. I went to see my GP who thought that I had a bleed on my brain or a stroke. He had a doctor who wanted to see me ASAP. I had lots of test and a MRI scan, but nothing that explained what was going on now. I was given strong pain meds for my headache which worked and also told I had been ill with Ramsey Hunt Syndrome, which comes from the shingles virus. About a week later, I was ill again and was having problems with head pain, breathing and being very weak and was blue lighted back into hospital. Again it was felt this was because of the Ramsey Hunt. 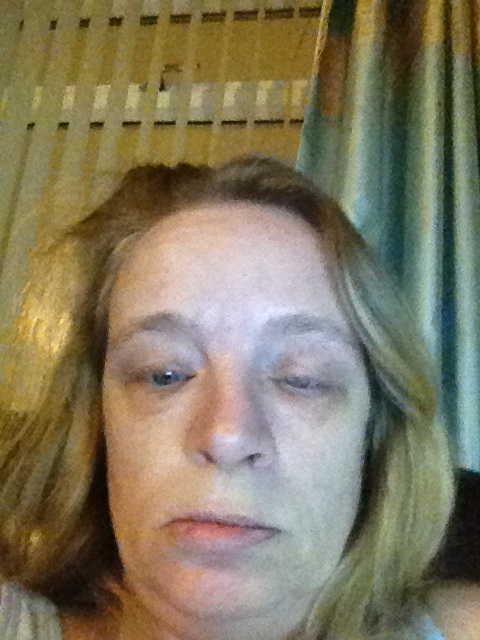 I was given an eye test, where it was found I had a lazy left eye and also more blood test were taken. I then received a call from the hospital on the 2nd of January and asked to go into see them the next day. 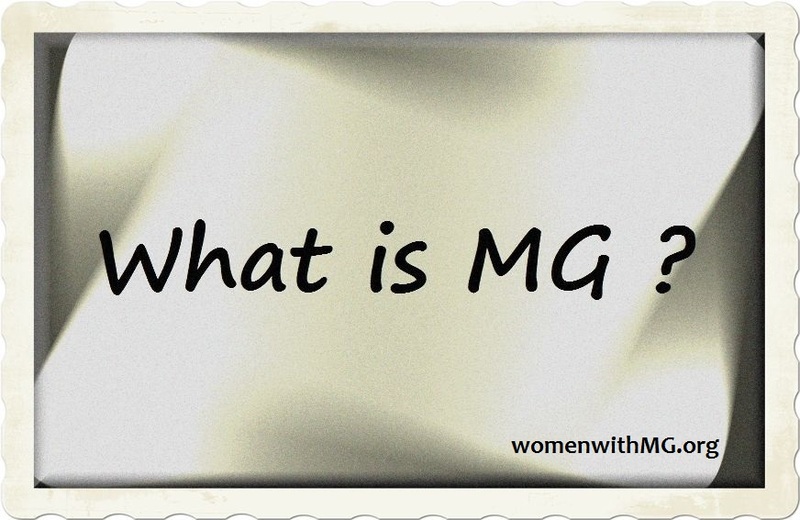 At the appointment I was told that I had tested positive on one of the tests and for the first time, MG was mentioned. Jane, shortly after becoming ill. I had more blood tests done and also told I would need a CAT scan which I had about three weeks later. On my next visit, I was told that it was found that I had an enlarged thymus and also a tumor, but not to worry as they would be removed ASAP. The next time I awakened was when a different nurse nudged me awake to ask if I was ok, as it was noticed that I was having problems breathing and the morphine pump had been removed due to this. I left hospital after 3 days, still with breathing problems and only found out a month later on my next visit to the surgeon, that they had to remove my Phrenic nerve, as the tumor was wrapped around it. The result of removing the nerve was my left diaphragm and lung would no longer work which in turn was a big part of my breathing problems. It’s now coming up to 2 months since my surgery and I am still having breathing problems and am waiting to have my lung drained. I am still on all my meds and as yet am not feeling that the MG has improved, but it’s early days yet and I hope for some improvement over the next few months. I was told yesterday that I should probably not return to work, due to the breathing problems I now have.